A solid score, and a solid scoreboard. This is quite a nice little setup – and another example of a football scoreboard that was unused in summer until converted. Vermont is in Melbourne’s eastern suburbs. 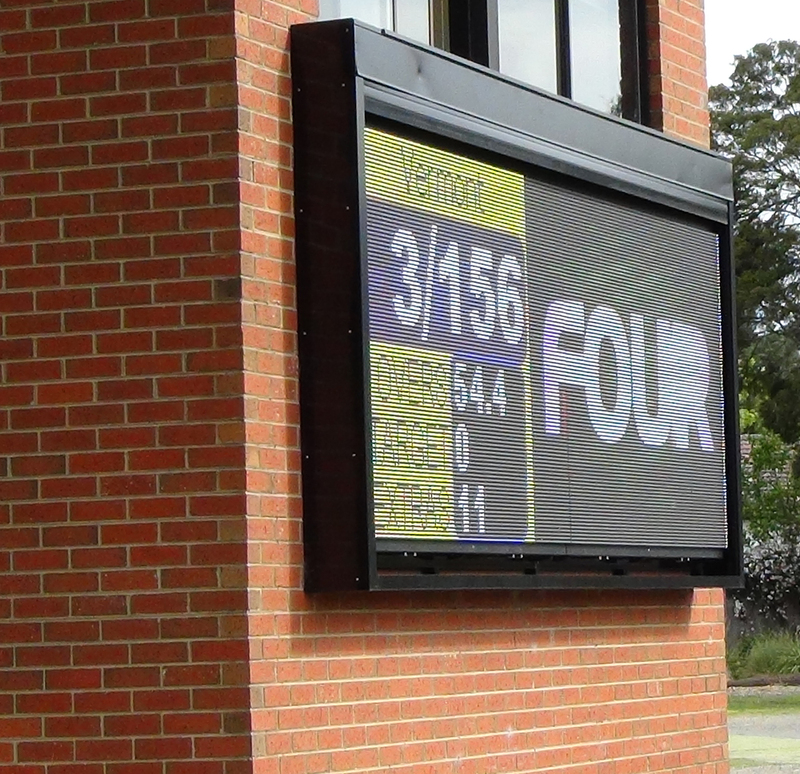 The score at the end of the first day’s play against Koonung Heights was home team Vermont 9/270, off 80 overs. Cricket is very much a waiting game. Another boundary for the Eagles. Vermont Cricket Club was formed in 1895. No electronic scoreboards back then! Thanks for the story Michael & Vin. 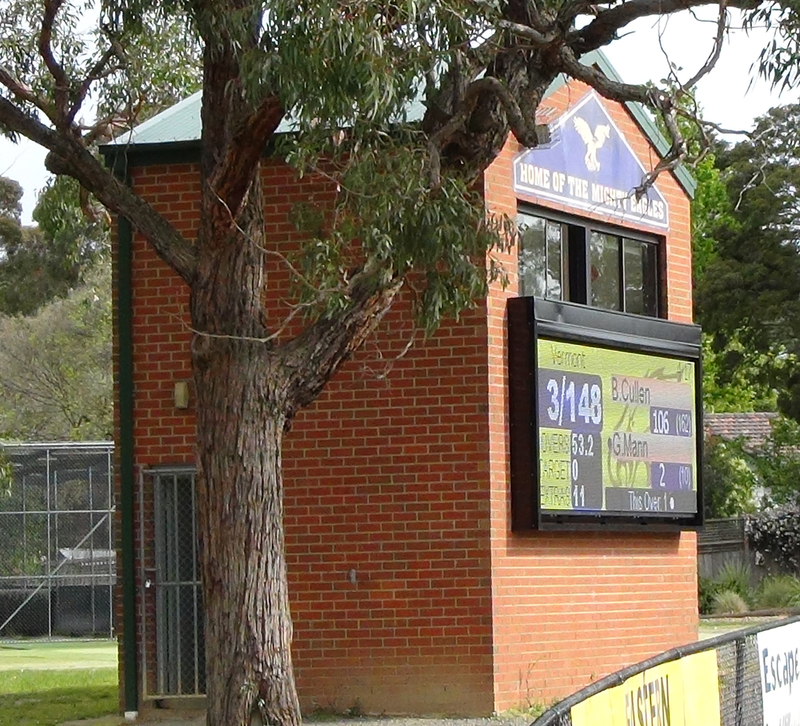 Nice to see the scoreboard clearly visible in the toughest location – facing the low arvo sun. Cheers.